Daler Rowney Soluble Gloss Varnish is a removable gloss varnish for use with acrylic or oil paints. 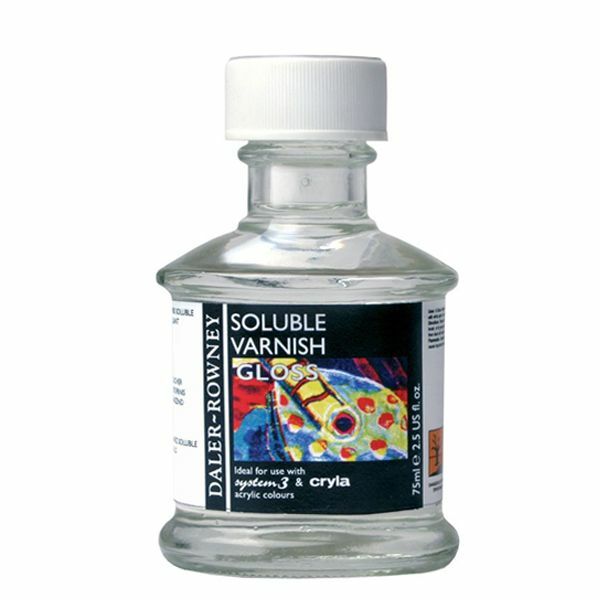 Daler Rowney Soluble Gloss Varnish is an excellent removable gloss varnish for use on acrylic or oil paints. Use white spirit to thin and clean brushes.